Sadly the videos are gone. 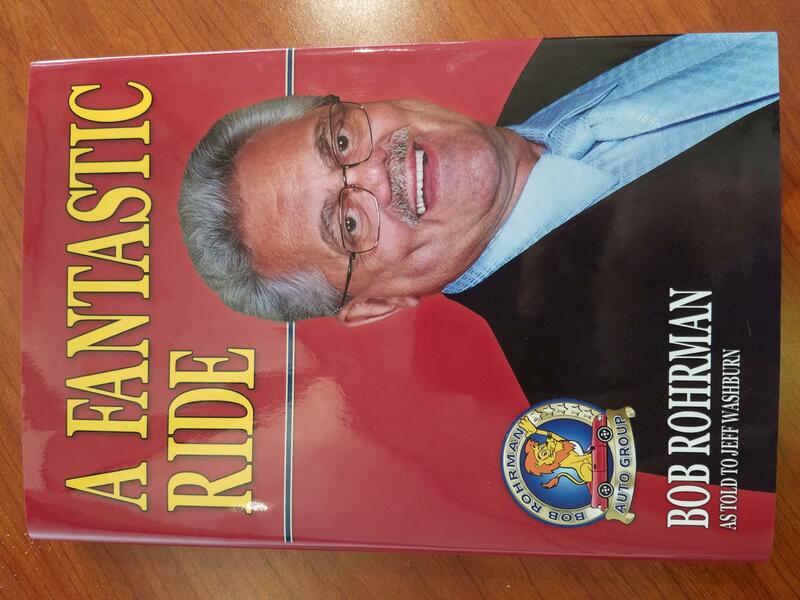 We visited Bob Rohrman, but wasn't very impressed. They mislead us about their inventory in stock and no one seemed very knowledgeable about the product line. We bought ours at Tom Wood, it was kind of a bust also, like to see your video?? I got a quote from them and it was one of the highest quotes I received. A bad price that I beat by $1500. One of the highest quotes I received was from Bob Rohrman Subaru in Fort Wayne Indiana. Bought from Grand Subaru for $2,702 less! I've heard some people say some good things about Bob on a personal level but I have NEVER heard anyone say anything good about doing business with him. My only experience in attempting to do business with his Subaru dealership in Lafayette goes like this, I was hot to buy a new 2002 WRX when they first came out and this dealership was the first to get any within a reasonable driving distance from where I was living at the time. I drove nearly 2 hours to get to the dealership and believe me when I say I could have purchased one of those cars that very day. As it happened not only was I not allowed to test drive a WRX there but they would not even let me sit in one (they had three available to include on one the showroom). The rudest salesman I've ever dealt with told me that I would need to bring my parents with me before I could do anything. I was 20 at the time and had received $12,000 from the Army as well as having other assets, I may have been young but that does not mean I would have been unable to purchase this vehicle outright or at least swing a good finance deal. Suffice it all to say that they completely blew me off and would not take me seriously, they were so rude that they effectively ran me out of the dealership. Never have I considered going back aside from having a forum member here work there and I thought I might do business with him but he left employment before I could buy a car from him. Probably a good thing and it is probably a good thing that I did not buy a WRX from Bob as I ended up buying my 2003 Outback elsewhere and then launched this site. Zedhead and RAV like this. I remember a story concerning the last Mercury Topaz at a local multi-line dealer. (they sell GM/Ford/ Chrysler, both then and now). This was relayed to me by a mechanic there whom was replacing a speaker in one of the cars jammed in the showroom so he heard the whole affair. one of the owners comes out,...the one that works as the general manager, whom vaguely knows the customer, and proceeds to talk his ear off for 45 minutes... into taking that topaz that no one wanted period without even a test drive to see that it was a worse car then the nice customer came in. that topaz had a little bonus cash "spiff" on it to whomever could sell it...... in this case,...maybe it took the general manager himself to take proper advantage of a senior citizen,...when the underlings would not go in for the kill to sell the worst piece of new junk on the whole lot. Customers need to realize that they have much more power then they realize. Share experiences. Broadcast when a dealer does a good job. if a dealer makes a mistake and makes an effort to correct it... broadcast it. When a dealer is caught victimizing customers and won't make amends, by all means broadcast it... repeatedly.